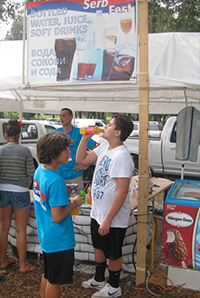 Due to the heavy influences of the neighboring cuisines, there exists debate over whether any Serbian cuisine is indeed Serbian. 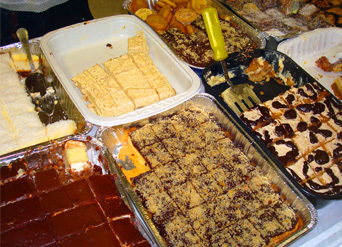 Many see this amalgamation as the reason for its unique mix of various traditions; Serbian confectioneries are places where koljivo, baklava, strudel and sachertorte live in perfect harmony. 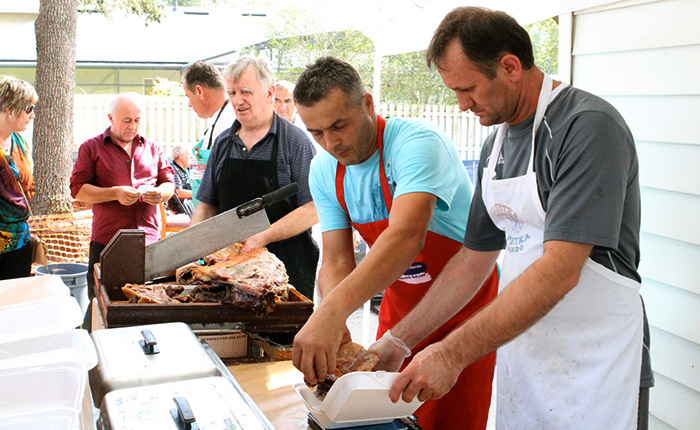 In recent times the Serbian diaspora has spread the kitchen across the world. 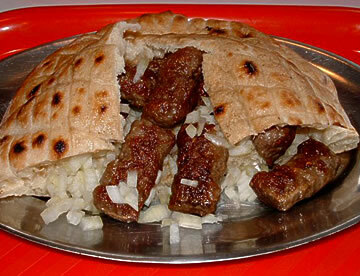 Most people in Serbia will have three meals daily, breakfast, lunch and dinner, with lunch being the largest. 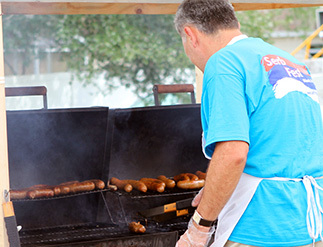 However, traditionally, only lunch and dinner existed, with breakfast being introduced in the second half of 19th century. 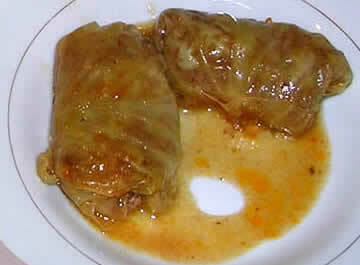 A number of meals, which are simply bought in the West, are often made at home in Serbia; this includes rakija sljivovica (fruit brandy), jam, jelly, various pickled food, sauerkraut (kiseli kupus - pickled cabbage), ajvar (a relish made principally from red bell peppers, with eggplant, garlic and chilli peppers) and even sausages. 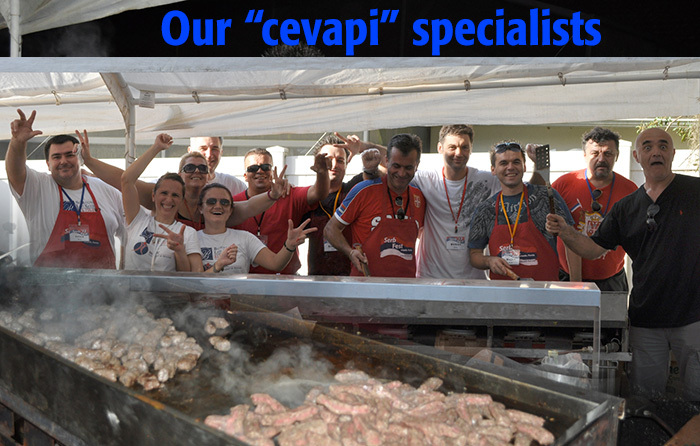 The reasons for this range from economical to cultural, one being that food preparation is a strong part of the Serbian family tradition. This is one of the most popular and recognizable dishes in Serbia and it is made most often for festive occasions, or simply as a comforting family snack. 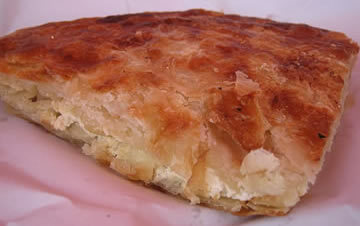 Gibanica is most commonly made with a variety of mild and strong cheeses, like cottage cheese, Feta cheese and eggs. You need to try them, a little spicy and full of flavor! 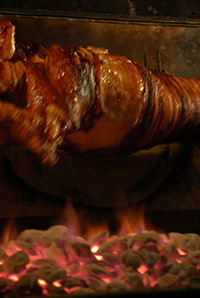 Open air roasted piglet or lamb, prepared by Serbian men. 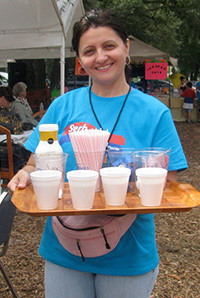 Traditional Serbian cookies and sweets, everything homemade by the experienced Serbian ladies belonging to the St. Petka Church parish! 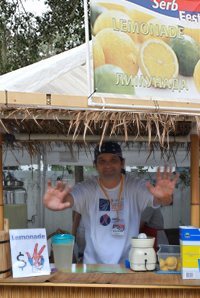 Our Homemade Lemonade is great refreshment for a hot day. If you prefer something different, we have a variety of imported beer and vine from Serbia.